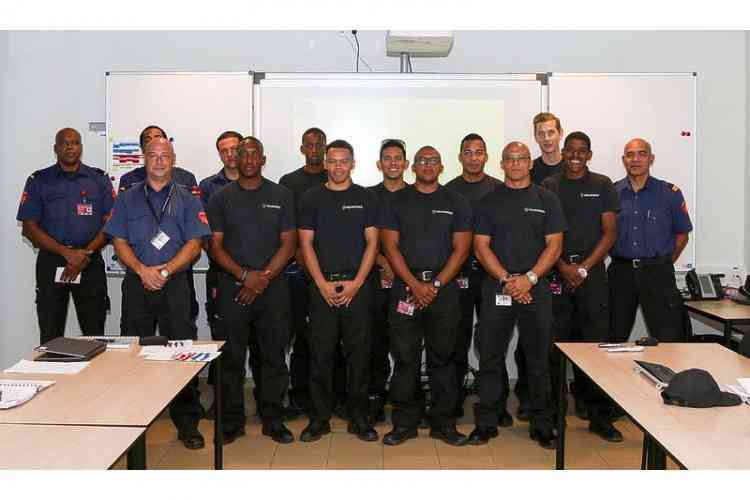 The Caribbean Netherlands Fire Department BKCN is holding the Aircraft Fire Fighting Programme from October 22 to November 9. Eleven BKCN firemen are participating: seven from Bonaire, three from Saba and one from St. Eustatius. BKCN instructors Ab Hoek and E. Morillo provide the training, which consists of a theoretical and a practical part. For both parts, exams will be taken. The theoretical element will be examined online. The exam commission consists of President E. de Cuba from Aruba and examiners F. Koenders from the Netherlands and K. de Palm from Bonaire.